Jammu: A mysterious blast on Saturday morning near CRPF convoy triggered panic in Banihal tehsil of Ramban district in Jammu and Kashmir. “A blast occurred inside a car at Tethar near Peerpira Morh in Banihal on Jammu-Srinagar national highway,” police sources here said. They said that the cause of explosion besides other damages are also being ascertained. Sources said that a convoy of CRPF was also passing by when the explosion took place. “The bus carrying CRPF personnel reportedly suffered some damages but the car in which blast took place was completely damaged,” they added. Meanwhile a CRPF spokesman said, “at around 1030 hours on Saturday, an explosion took place in a civil car near Banihal while CRPF convoy was on move”. 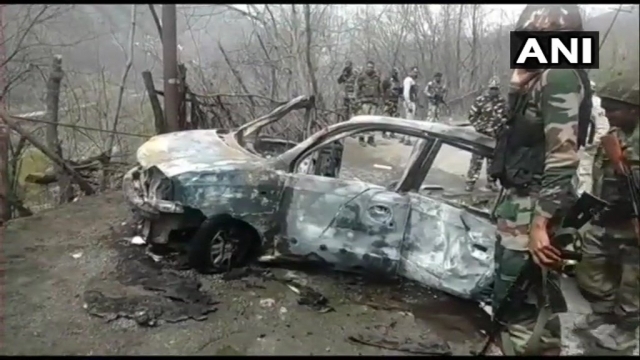 “The car caught fire and slight damage was caused in the rear of one of the CRPF vehicles,” said the spokesman adding that no injuries were caused to CRPF personnel. “Incident is being investigated in respect to all possible angles,” he added.